BIL-JAX #4527A ; 45' PLATFORM HGT. 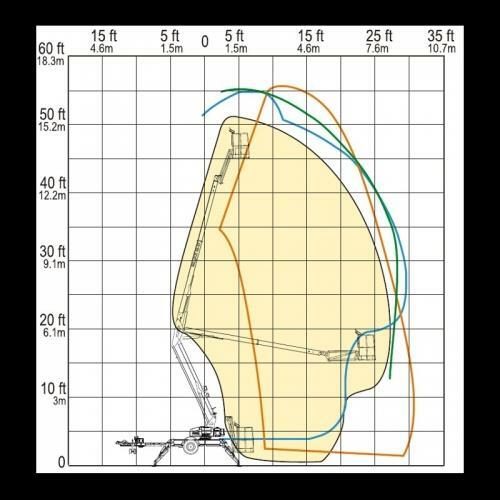 = 51' REACH ; 27' OUTREACH @ 20' HGT. 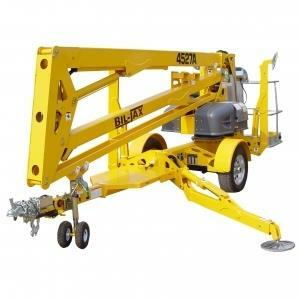 * Please call us for any questions on our boom towable 45 foot up/27 foot over rentals in Cincinnati Ohio.